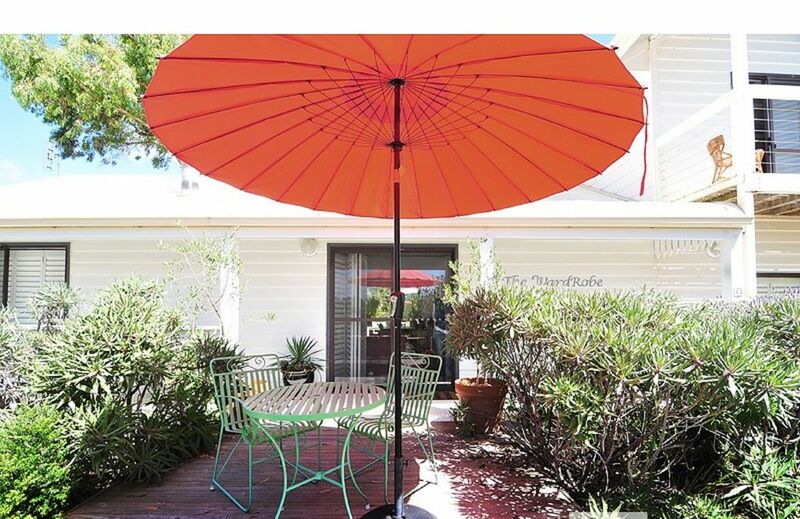 Welcome to The WardRobe, a cosy, comfortable, pet friendly cottage in pristine Robe. Located at 44 Powell Avenue, this property is central to the Long Beach precinct, the aquatic play ground and relaxation epicentre of Robe. Even when the chill winds of winter are blowing, a blazing fire, a good book and a hot cup of your favourite awaits you. This house is as snug in the winter, as it is fresh and breezy in the summer...and our guests tell us they love the 'feel' of the place. Call it positive energy, the vibe, healing feels? Whatever it is, The WardRobe has it. The kitchen features stainless Smeg cook top, fridge, microwave, food processor, mixer, wok, pasta maker, mortar and pestle, magic bullet, toaster, sandwich press, coffee plungers and teapots, and a brand new barista quality grinder and espresso machine. Cafe windows provide a servery to the rear deck. If food is your thing, you are in the right place. The dining table seats up to 10, and opens onto a large rear deck. Weber gas and charcoal barbecues, market umbrellas and chairs are stowed in the storeroom off the deck. A hot outdoor shower is provided. The open living area with raked ceiling and tongue-in-groove wainscoting has a slow combustion wood heater, ceiling fans, sofas and a Bose sound system that can connect to your spotify device or to the Pioneer record turntable. The Bose speaker is indoor outdoor. The laundry is housed in a utility nook together with a second fridge and front-loading washing machine. The upstairs bedroom is 8 x 5m with polished timber flooring and a chapel ceiling. Plantation style shutters open onto a balcony. The room has a king sized bed, writing desk, electric heater and pedestal fan. The French Hotel Style room - the smallest of the three main rooms, has a double brass bed, portable fan and heater. The verandah room has a queen sized bed, ceiling fan, heater and plantation shutter that open onto garden views. The Ottoman room is a 8 x 5m carpeted room containing a sofa and two single beds. TV and DVD player, with movies and games provided. This room is a bedroom that doubles as a second living area. The house has 2 bathrooms, each with bath, shower and toilet. Both have gas hot water on demand. Quilts, pillows and spare cotton blankets are provided. A north-facing deck at the front of the house is an ideal place to catch some winter sun. Perfect for that romantic interlude. All linen and bath towels are supplied. Just bring your own beach towels. No smoking inside, thank you. NO SCHOOLIES GROUPS. Dogs are allowed for a surcharge of $10 each per night. The rear garden is enclosed. The WardRobe is 200 metres from Robe's famous Long Beach, a drive on beach. The town centre is 5 minutes by car or a 30 minute walk along the coastal trail. Additional information on sightseeing around Robe, restaurants and local highlights are in a red folder kept on site. You'll find a copy of the House Notes in there as well. Low maintenance garden. No lawn. Thank you Ros. We are so pleased to provide a comfortable base for your golfing ventures. See you next year! Lovely house in a fantastic location. Would definitely recommend a relaxing stay here. A lovely place to stay with everything you need for a relaxing beach holiday. A short walk to the beach and a scenic walk into town! Highly recommend a stay at the Wardrobe. Than you for taking the time to review The WardRobe Helen. We try to present a Home, rather than a shack, and are pleased you enjoyed the little extra things we provide. Really enjoyed our stay as a family of 4 adults. Great separate living spaces to chill in. Lovely central living area with big dining table. The access to boogie boards was greatly appreciated. We loved the surprise of the record player with eclectic mix of vinyls. Great coffee machine, compost bin and Thank You brand toiletries. We appreciate your kind review Leanne. It's great to get feedback on the little things we provide - like the beach toys and records. We had the table made by a local craftsman, from indigenous timber, sized for the space. It's nice to know these provisions are serving their Intended purpose. Loved it, felt like I had slipped into a living house rather than a dressed up shack. Will be back, go to Robe people, just do it. Record Player with Vintage records. Loft Bedroom bed COVERED in pillows and cushions. Loved the styling. Many DVD's and 3x TV's. Best guest ever! We are chuffed that you had such a great stay, and left the place in pristine condition. Much appreciated. We had a great time and the house had everything we needed. Fully equipped kitchen with all the pantry extras. Plenty of room for all the family, cosy fireplace which we had going on the first night. It's a home away from home, and the record player!!! How did you know I was a vinyl lover? Comfy beds and parking for two cars. Thanks Brett, we highly recommend. Thank you for your generous review Sharon. We really get a kick out of providing such experiences for our guests. We love the vinyl, and are chuffed that you did too!